The Mouse-tailed dormouse (Myomimus roachi) is one of the five dormouse species in Europe. It is probably one of the rarest rodent species in the Western Palearctic and it is threatened. Agricultural intensification destroys its favourite habitat: hedge and tree rows and solitaire bushes. 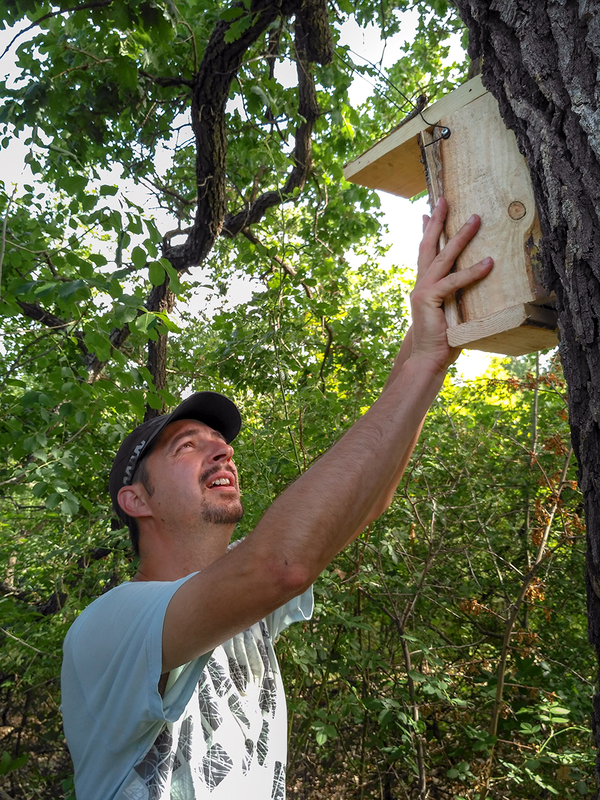 By placing nest boxes Nedko Nedyalkov wants to learn more about this elusive species and improve its habitat at the same time. The Mouse-tailed dormouse occurs only in a small area in Bulgaria and Turkey and possibly also in Greece. Its distribution in Bulgaria is only known from skeleton remains in owl pellets, and one capture in 2017! It is known that this species lives in open and semi-open habitats. Usually, it uses old oaks, walnuts and pears, close or in agricultural fields. This makes him very vulnerable to many agricultural practices. Unknown is how he uses these habitats. The nest boxes will allow Nedko to learn more about the habitat preferences of the Mouse-tailed dormouse and enable the collection of data on its biology and ecology (diet, activity, population structure and genetics, parasites). Currently, there is no funding for this work but thanks to several small donations Nedko could build a dozen nest boxes earlier this year. He placed them in trees in the Sakar mountain region in southeastern Bulgaria where an animal was caught in 2017. He plans to build 40 more and place them also in the Sakar mountain region and the Eastern Rhodopes. 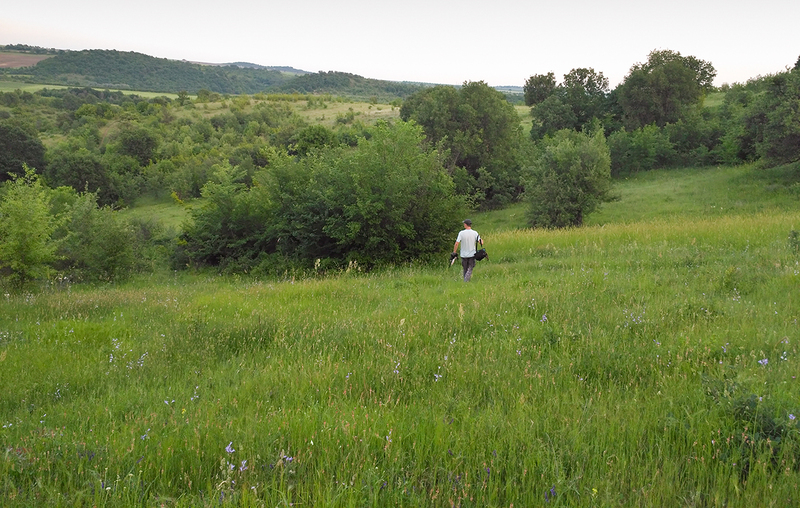 Nedko’s goal is to build and place 100 nest boxes and monitor their use twice every month between May and September. In Turkey, this method of surveying delivered good results about the population structure, habitat use and diet of the Mouse-tailed dormouse. The nest boxes are quickly accepted by the species as roosts for the day. Zsolt Hegyeli and Tihamér Fülöp from Romania helped Nedko to build and place the nest boxes. You too can help Nedko. With a small donation (€ 7.50) he can build one nestbox. With a little bit extra he can travel each month to check the boxes. The habitat of the Mouse-tailed dormouse in Sakar mountains, Bulgaria (Photo: Zsolt Hegyeli).